Personal Eyewash Bottles Are Perfect For Nuisance Particles As Well As For Immediate Treatment In Route To A Primary Eyewash Unit Or Medical Care. Portable Containers Are Perfect For Use While You'Re On-The-Go. Buffered, Saline Solution Is Sterile And Superior To Tap Water For Emergency Eye Care. Blow-Fill-Seal Bottles Are Tamper-Resistant While Allowing Virtually Immediate Use. Extended-Flow Nozzles Provide A Longer Flow Than Conventional 16 Oz. And 32 Oz. Bottles. User-Control Volume Allows You To Dispense The Solution In Drops Or A Stream.. 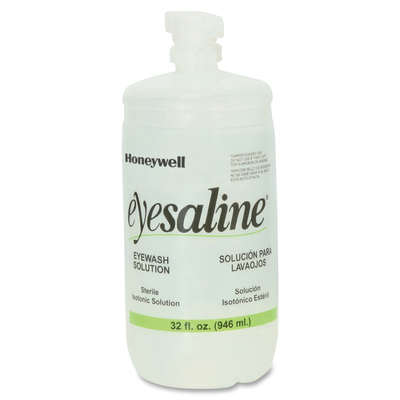 Personal Eyewash Bottles Are Perfect For Nuisance Particles As Well As For Immediate Treatment In Route To A Primary Eyewash Unit Or Medical Care. Portable Containers Are Perfect For Use While You'Re On-The-Go. Buffered, Saline Solution Is Sterile And Superior To Tap Water For Emergency Eye Care. Blow-Fill-Seal Bottles Are Tamper-Resistant While Allowing Virtually Immediate Use. Extended-Flow Nozzles Provide A Longer Flow Than Conventional 16 Oz. And 32 Oz. Bottles. User-Control Volume Allows You To Dispense The Solution In Drops Or A Stream.